Most interest in nonreligion and secularity is focused on the West and its dominant cultures; it is argued, in fact, that such concepts have limited meaning in any other settings. In today’s launch series article, James Cox challenges this view, arguing that much can be learned by taking nonreligion as the starting point in research with other populations — Australian Aboriginals, in the case of his own work. The category ‘Nonreligion’ is frequently associated with debates over the secularisation process in the West or it has been linked to controversies surrounding the ‘new atheism’ and cognitive approaches within the sciences of religion. Often overlooked in this field of study are indigenous populations. This is partly because it is commonly assumed that traditional, small-scale societies make no distinction between religion and nonreligion in the sense that every activity of life possesses some spiritual significance. It is also pointed out that indigenous populations almost never have a word in their vocabulary which equates to the Western idea of religion. The notions that indigenous peoples do not separate sacred from secular activities and that religion is entirely a Western concept reflect naïve and simplistic assumptions. Indigenous peoples identify objects that possess special power and therefore need to be respected, such as sacred mountains, trees, rivers, pools or particular instruments with mythic and ritual significance. When indigenous groups engage in rituals, they know that they are entering a time and space which is different from ordinary time and space. These factors suggest that, although no word for ‘religion’ may be found in most indigenous languages, the concept of separating special objects from other objects and denoting sacred from non-sacred space and time is not foreign to them. This justifies the longstanding academic claim that indigenous populations practise indigenous religions, which can be and have been studied in detail. If religion constitutes a particular research area amongst indigenous peoples, this raises the possibility that nonreligion could also constitute a field of study within indigenous societies. The aim of the project was to investigate why such a seemingly high percentage of indigenous people referred to themselves as nonreligious, and why this percentage had increased so markedly in the past five years. We wondered if these statistics suggest that the indigenous population, like the wider Australian society, is becoming increasingly secularised. Or, are there other explanations for the unexpectedly high percentage of Aboriginal people stating they have ‘no religion’? In order to address these questions, we conducted a series of individual interviews and focus groups in the urban setting of Mount Druitt, a suburb west of Sydney with a high Aboriginal population, and in Ampilatwatja, a remote Aboriginal settlement approximately 300 kilometres north-east of Alice Springs in the Northern Territory. In both settings, local leaders and linguists were involved in the research in order to facilitate our access to the communities and to ensure that accurate translations into English were made when interviewees used indigenous languages. Although Adam Possamai and I are currently analysing the data, preliminary conclusions suggest that Aboriginal people living in remote locations maintain a loyalty to traditional culture, but do not think of this as ‘religion’; religion seems to refer to ‘the church’. This does not fully explain why so many put ‘no religion’ on the 2011 census or did not answer the question on religion. We also found that in general urban dwellers, like the wider Australian population, either are becoming increasingly secularised or are non-church-going but consider themselves as ‘spiritual’. These preliminary conclusions are complicated in the rural setting by the fact that the long-established Lutheran mission in Ampilatwatja is currently being challenged by the newly-founded Pentecostal church, which opposes traditional rituals. Another factor, which we did not expect, results from our discovery that some urban interviewees, who were active Christians, put ‘no religion’ on the census because they do not consider their Christian faith as ‘religion’. Currently, we are developing proposals, which build on these initial findings, aimed at conducting more extensive and in-depth studies on what we hope will produce groundbreaking results in Australia and at the same time encourage research in the broader area of ‘Nonreligion and Secularity’ among indigenous peoples globally. 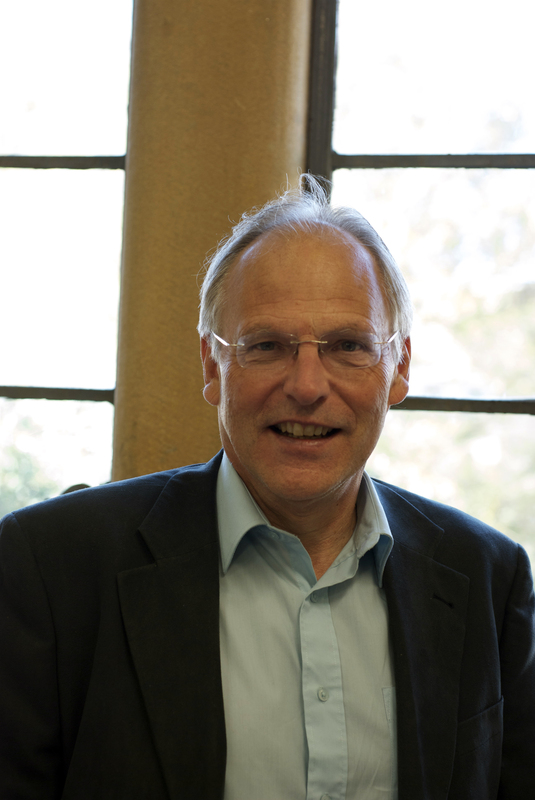 James Cox is Emeritus Professor of Religious Studies in the University of Edinburgh. Prior to his initial appointment in Edinburgh in 1993 as co-ordinator of the African Christianity Project, he held posts at Alaska Pacific University in Anchorage and the University of Zimbabwe in Harare. His latest books include The Invention of God in Indigenous Societies (Acumen, 2014), Critical Reflection on Indigenous Religions (editor, Ashgate, 2013); An Introduction to the Phenomenology of Religion (Continuum, 2010), From Primitive to Indigenous: The Academic Study of Indigenous Religions (Ashgate, 2007) and A Guide to the Phenomenology of Religion (Continuum, 2006). This entry was posted in Launch Series, NSRN Blog and tagged Aboriginal peoples, James Cox, nonreligion, Research. Bookmark the permalink.